Good morning! 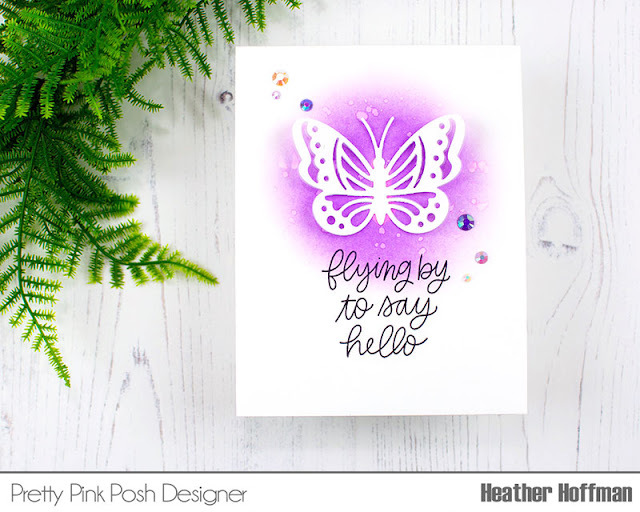 Dropping by today with a card using some beautiful Pretty Pink Posh butterfly theme items that happen to be on sale right now - and the sale ends today! 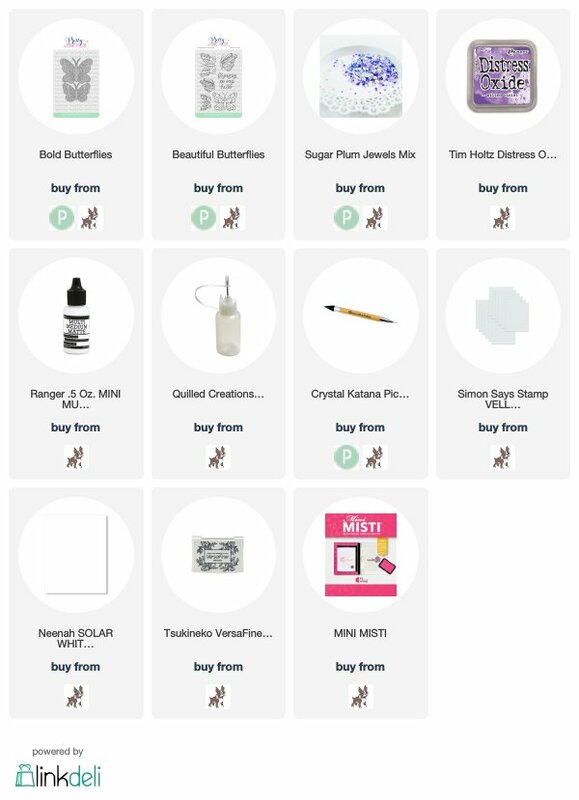 All Butterfly stamps and dies are 30% off - you can find them all HERE! This is actually one of the cards we made at Impress Cards and crafts yesterday for the card class I taught - one of the Clean and Simple designs. I blended out a purple background with Wilted Violet Distress Oxide Ink, and added a few splashes of water for texture, then die cut one of the Bold Butterflies dies once from white cardstock and once from vellum, layered them together, and adhered them each just in the centers to leave the wings floating free. Once the glue dried, I could curl up the wings for dimension that way! Stamped my sentiment from Beautiful Butterflies stamp set, and adhered a few Sugar Plum Jewels to finish it all off!